December in March, Yes I'm a bit behind but I never skip! If you want to know why I'm behind with my unpouching schedule; read "note" further in this post. 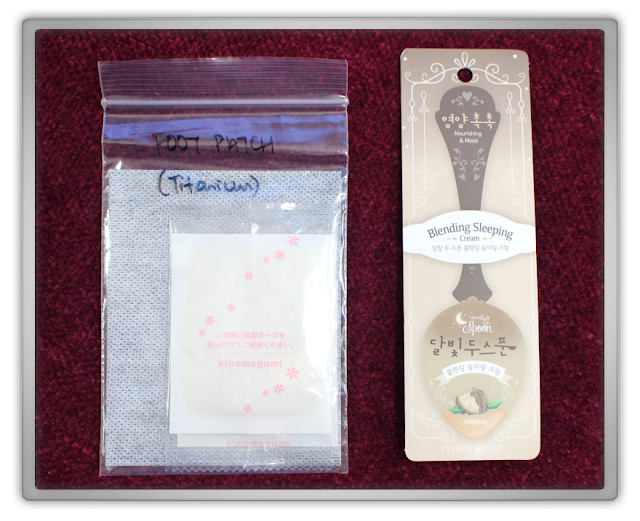 Again a lovely MaskGenie pouch to unpouch, are you ready?! 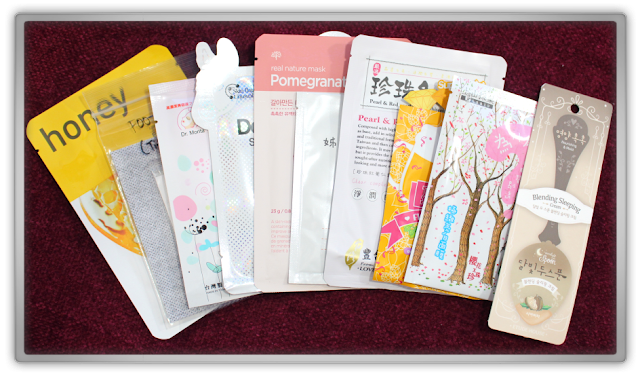 The MaskGenie Monthly Pouch comes with 8 to10 different types of masks from Asia, which care for your skin from head to toe. The prices are shipping included. All Monthly Pouches will be shipped out on the 10th of each month. 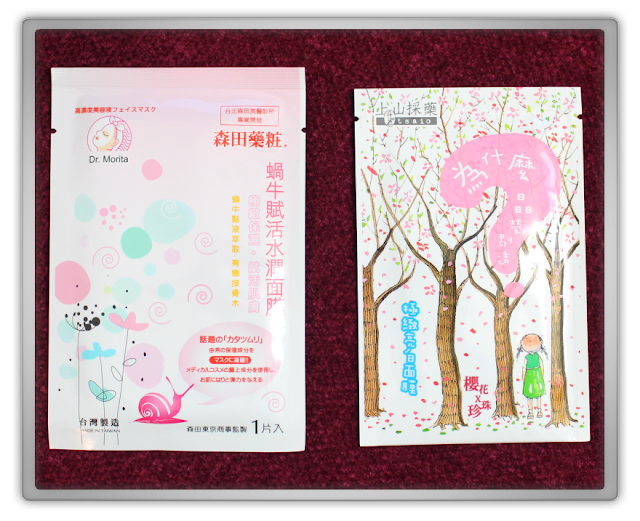 If you like to receive your pouch on time, then order before the last Friday of each previous month. The delivery time is around 7 to 10 business days. Almost all text on these masks are in Japanese, Mandarin or Korean which I can't read. So I'll do my best. Also this will be really a first impression since none of the mask are used yet. Mainly because I had a bad fever, deep cough, toothache etc for the whole month of January and didn't feel much for skincare. In February I picked up my skincare routine again and got this bad reaction from some tea tree stuff (tossed it). Then tried to calm & fix it with my regular skincare routine and then I got a heavy dry patch out break with high irritated skin. So I kind of tossed the half of my skincare routine products. Now I'm carefully step by step getting into a new soft, non-irritating moist skincare routine. So far It's been a success! With quality deep ocean water, top plant extracts this mask promises to provide nutrition, leaves the skin healthier and more radiant. A clear complexion mask, hmm yes please! No clue what kind of plant red barley is, I hope it does wonders for my skin. The holy snails, these little monsters make our skin so pretty! They are good for firming the skin, giving moisture and healing the skin. Very happy with this mask! Spring here I come! This mask looks very cute! Tiny downside; it has parabens. further there are pearl powder and camellia extracts I've recognized. I hope it brightens my skin a lot! This is a known brand and probably the first mask I'll try. Mainly because it's a familiar brand and I'm a bit careful with my skin at the moment, and because it's a Honey mask! Honey is known for giving lots of moist to the skin and it has a healing effect! excited to try this out! I can't help it, but when I think of pomegranates I always think back of a Youtube video where Jamie Oliver explains about it :) Now I know how amazing pomegranates are. 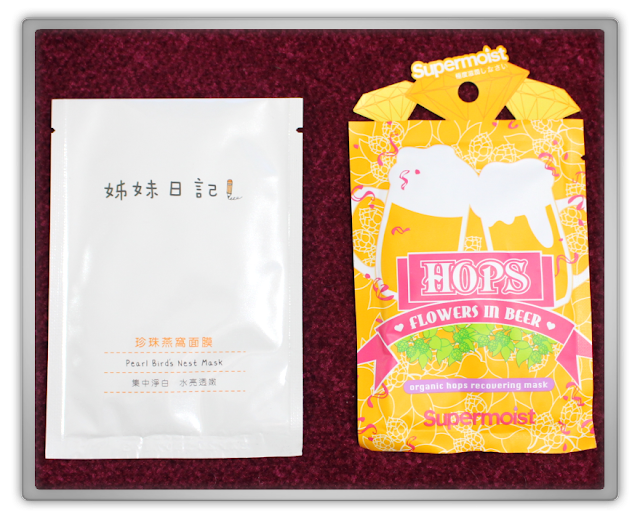 This mask will improve skin resilience and moisturization with vitamin B2 en B2. Never tried a mask from the Face Shop before, I'm curious. There is one downside: parabens. I'm not sure if I should use this sleeping cream. Since I've learned that most masks expire within 2 years or said otherwise. Etude house mostly only has a manufacturing date and this one says 20131214. 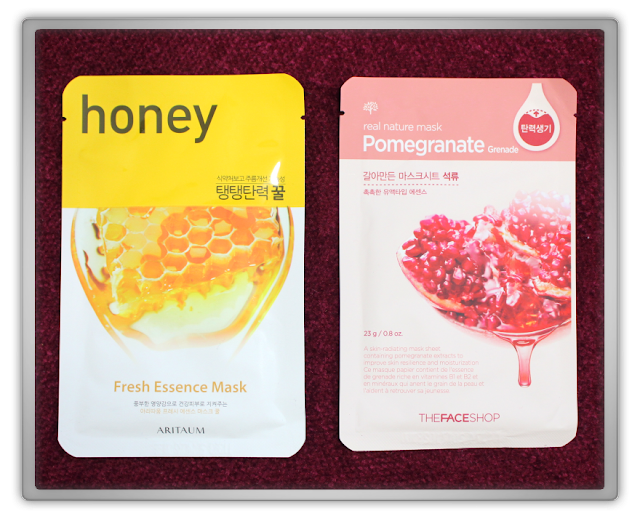 Does Etude house masks live 2 or 3 years? well I think it's too risky. 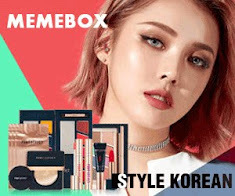 I've also checked the Korean & English Etude House Website, but it looks that it might be discontinued. I will not use this mask, just to be save. Unmask the skin you've always wanted! 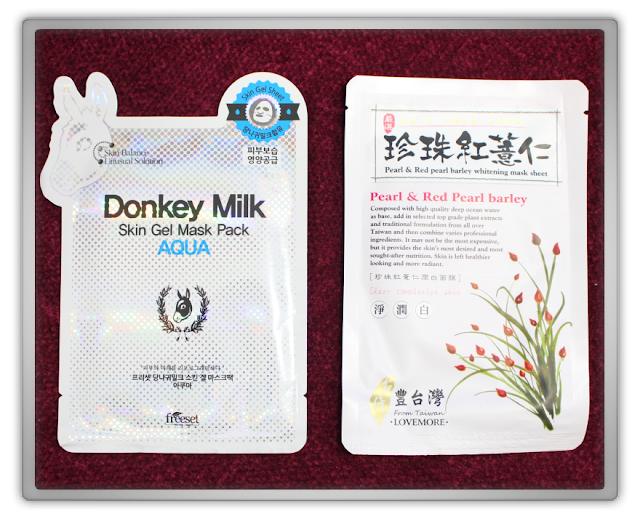 With this MaskGenie pouch you get masks you don't normally see in the average Korean stores, sometimes here and there a familiar mask, but more often masks you never heard of. That doesn't mean they are not good, just not that famous but they can rock your world! I love it! Don't forget to check out the limited editions ;) This is the Website, Instagram, Facebook, and Twitter! 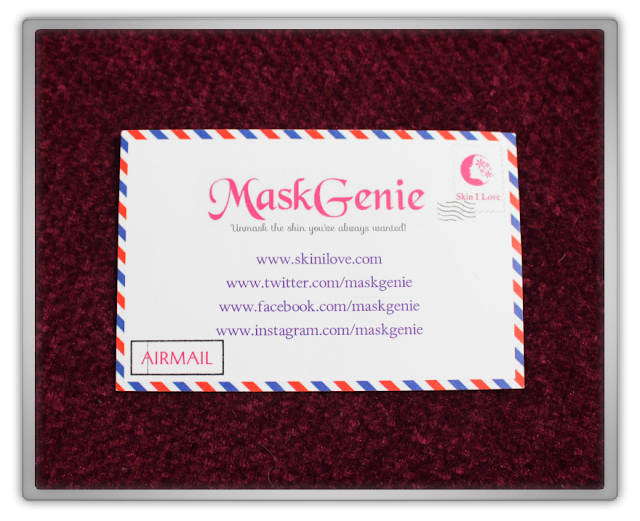 You can view all unpouches of the MaskGenie Pouches on Geniesfavproducts YouTube Channel. I hope you've enjoyed this unpouching review! Copyright by Marjolein Kucmer. Powered by Blogger.